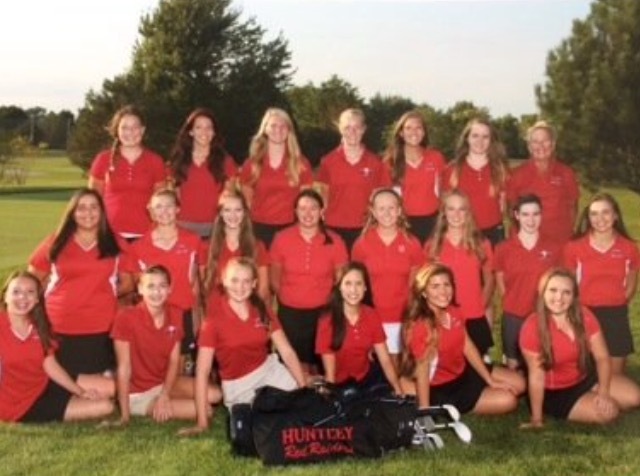 On Wednesday afternoon, Huntley’s varsity girls golf defeated Prairie Ridge with a team score of 178-165. Going into the match the girls had a title to rise to, they had won against Prairie Ridge the previous year and were ready to do it again. With a silent, cool afternoon the girls were focused and ready, to swing every time. “Going into today I just wanted to do the best that I could and I know my team thought the same. 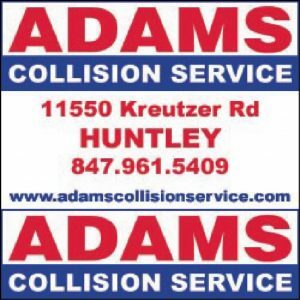 We are really improving,” said senior Nicole Gordus. 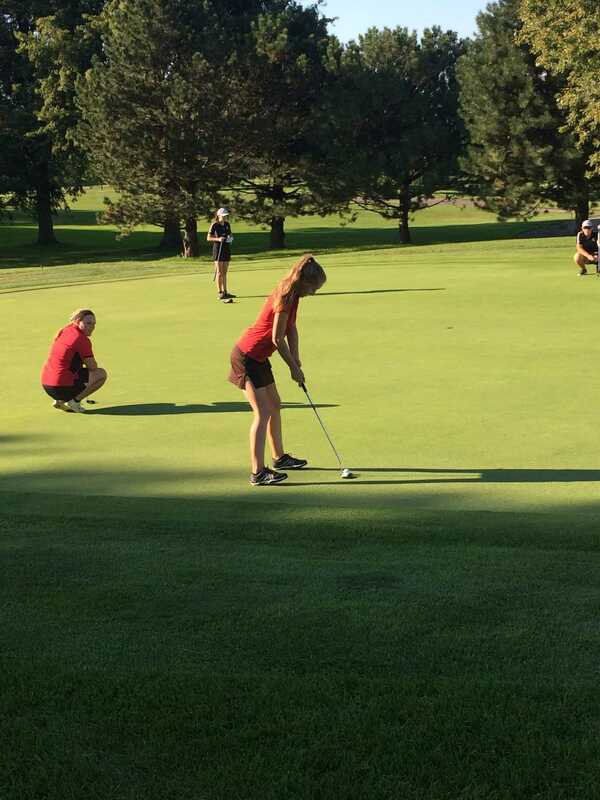 Gordus helped lead her team with a personal score of 39. 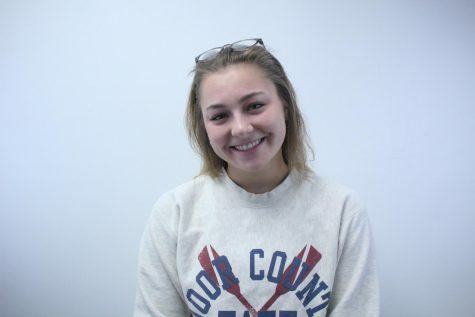 One player who often standouts is senior Caroline Giorgi, who already has multiple colleges interested in her and offering her women’s golf scholarships. Looking out into the sea of green, dotted with red and black jerseys, it was obvious that every girl was prepared and had a goal set in mind. Still fresh into the season, everyone had strategies and skills embedded in their heads from summer preseason, and daily practices. Even through the friendly smiles and high fives, it was obvious that there is a lot competition. “Everyone on the team is super nice, but it is real competition,” said freshman Katie Matustik. The girls continue to practice in order to achieve their team goals: to beat their conference competition and to beat themselves. Each player is always working to improve their personal score in order to benefit the team overall. The Red Raiders know the expectations and they know what score they need to get in order to beat their competition.